We all have friends or close family members in our lives that may become a mum at some point, and their journey into parenthood is of course an exciting one. As a mum myself I can just about remember those early days, and you know that your friend has exciting times to come. However, I also know how overwhelming those first few weeks and months can be, and sometimes you just want them to know that you are thinking of them. I thought I would share with you some of the best gifts you could consider giving them, to let them know you care. All mums love getting new gifts for their baby, and one of the most popular things to buy would be little outfits. However, many people have the same idea, so if you do want to buy something for the little one, why not be specific in your choice ? Websites like My Little Duckling are a retailer that sells baby hats and accessories, so this could be a quirky choice. There are other shops and stores that specialise in socks or footwear, little unique toys and trinkets, or even something special like a keepsake. It can be tempting to go to the high street, but if you want to be different, think outside the box. Many people will buy for the baby and forget that mum needs some TLC, so why not make this your mission instead. There are some great ideas that you could consider. For example, a gin membership where each month they receive a bottle of gin. How I wish these kinds of gifts were around when I first became a mother 16 years ago. If drinking isn’t there thing there are similar subscription box services for chocolate or beauty products. You could even create something yourself. Get yourself a decorated box and add in things like Lush bath bombs, face masks, their favourite chocolates and magazines, and even things like a small bottle of prosecco or a pack of specialist tea. The options are endless. You could also think about a treat for further down the line, like a spa morning or a massage, for when they are feeling up to leaving the baby. Finally, sometimes the best gift you can give is the gift of time. Having a newborn is hard work, we know that. So why not head round there and give them an hour in their own home to enjoy a shower, do their hair or indulge in a long soak in the bath. You could be on hand with the baby while they spend the time relaxing. You could even go round and make them some food, or cook up a storm so they have some meals frozen for those really hard days. You could help with tidying up or cleaning if you are close, or just simply be there for a cup of tea and lend an ear. The gift of time can often be the most precious gift of all. 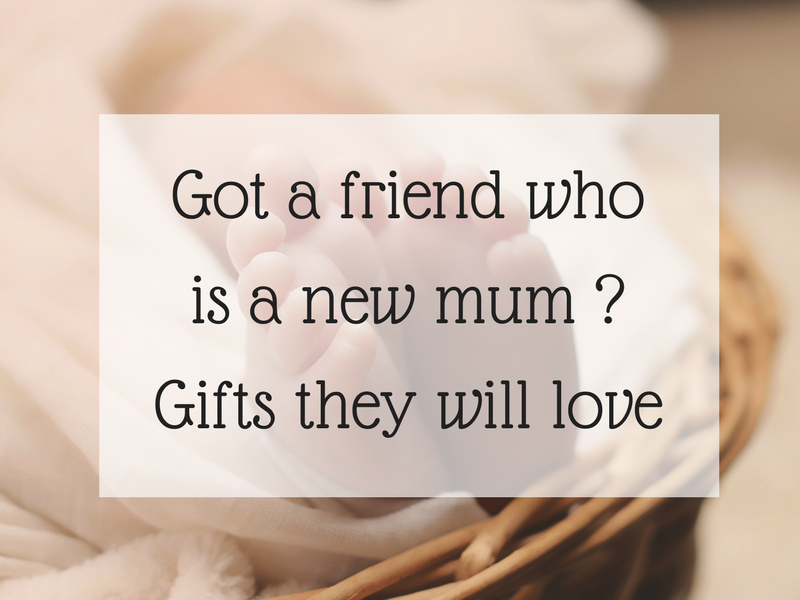 I hope that this has given you some idea if you have a friend or family member that is a new mum. I always try and include a gift for the new mummy as I think they deserve it, it’s nice to treat the new baby but we shouldn’t forget about the parents too.